Classic Mop Replacement Head has ultra-absorbent, high density cleaning tassels that make hard floors sparkle using just water. Guaranteed for 3 years. Machine washable. For use with E-Cloth Classic Mop. 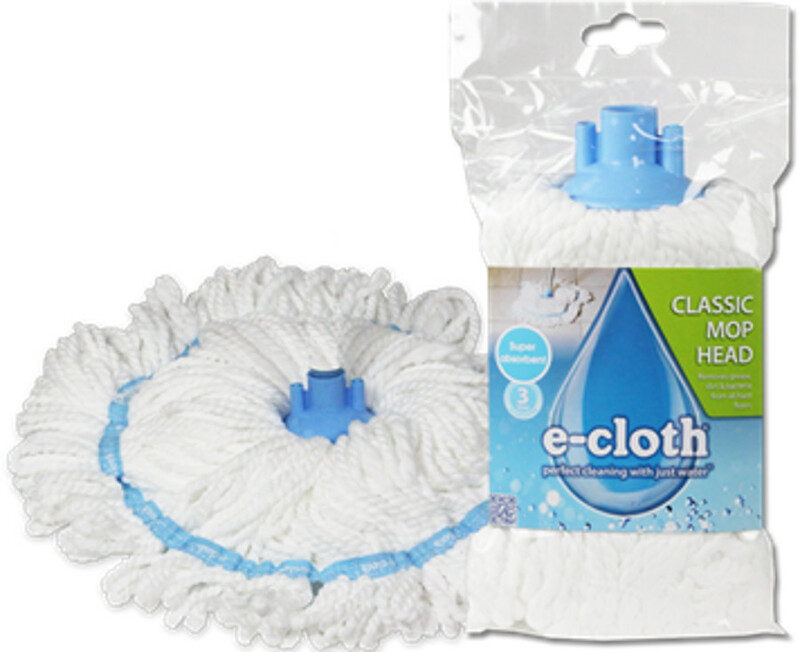 The E-Cloth Classic Mop Head product ethics are indicated below. To learn more about these product ethics and to see related products, follow the links below. Really works without detergent. Excellent product. I have an uneven brick floor and other mops don't reach into the nooks and crannies. This is the best mop I have found, however, I wash it in a bag in the washing machine at 60C to get rid of germs and then wring it out by hand ,despite this it lasts about 3 months. 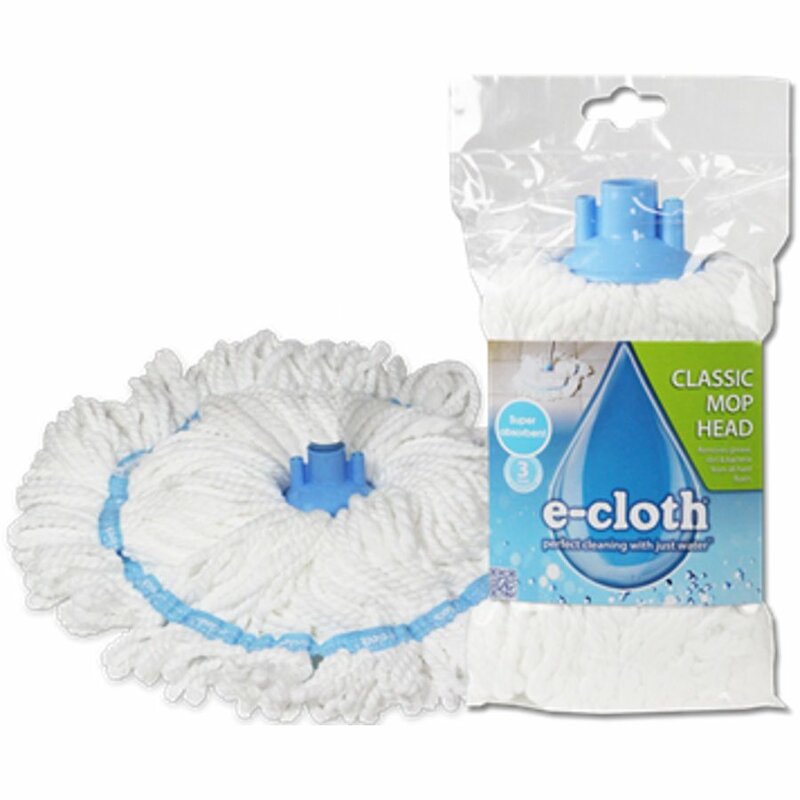 There are currently no questions to display about E-Cloth Classic Mop Head.